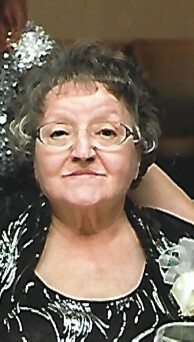 Funeral services will be 11 A.M. Thursday at the Fox Funeral Home, for Josephine H. “Peppy” Nicholson, 84 of Boardman who passed away peacefully Tuesday morning with her loving family by her side. Josephine was born February 25, 1934 in Youngstown, a daughter of Nicholas and Catherine Janik Horvatich. She attended Chaney High School and was a devoted homemaker. In 1973 she became one of the first women to work in the rail yard at U.S. Steel’s Ohio Works. Josephine enjoyed spending time with her family, going to flea markets, garage sales and crocheting. She leaves to cherish her memory her daughter Kathleen (Charles) Shutrump, son Frank Whitehouse, Jr., brother George Horvatich, sister Mary Bowman, grandchildren Stephen Whitehouse, Alexis (Scott) Wadman, Hillary Shutrump and Carlynn (Lazzaro) Frisone and two great grandchildren Christine Whitehouse and Wilhelmina Wadman. Besides her parents Josephine is preceded in death by her brothers John Horvatich and Nicholas Horvatich and sister Jana Dolphin. Friends may call from 10 to 11 A.M. Thursday at the Fox Funeral Home, Boardman. Material tributes can be made in Josephine’s memory to Alzheimer’s Association, 3695 Boardman-Canfield Road, Canfield, OH 44406.